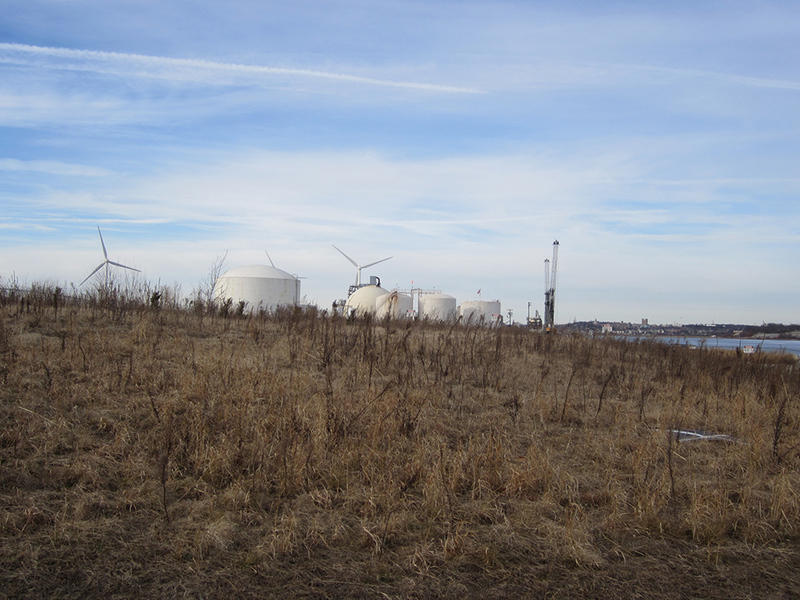 Field's Point sits at the southeastern tip of Providence, jutting out into the Narragansett Bay. The shoreline is studded with broken reeds, stones, and sea-worn trash; seagulls and brants bob in the water. Worn foot paths lead wanderers through an industrial area with swaths of open space and waterfront, past the headquarters of Save the Bay. 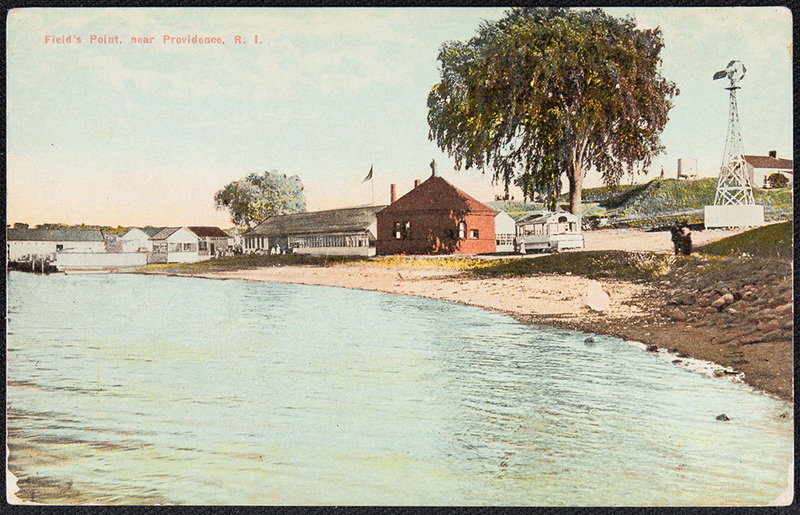 Geographically removed from most of the city, Field's Point has been used for a huge variety of purposes: summer cottages, a shore dinner hall, the city's sewage treatment plant, a Revolutionary War fort, military ship-building, a smallpox quarantine hospital, a yacht club, and a liquefied natural gas storage facility. For thousands of years before the arrival of Europeans, the peninsula was home to a Narragansett Indian village, and numerous sites of indigenous artifacts remain on and near the point. 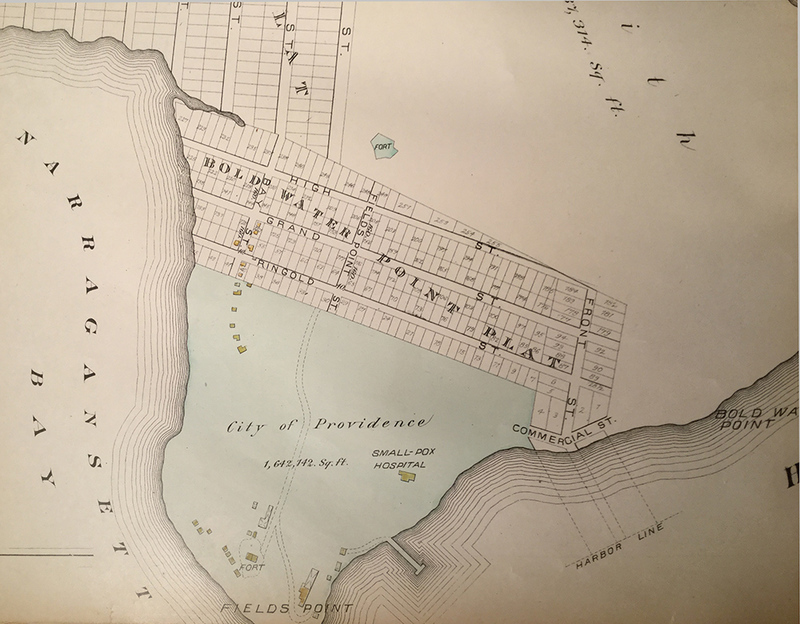 In 1824, the City of Providence bought the land on Field's Point for a smallpox hospital where patients could be housed in relative isolation, away from crowded neighborhoods and tenement houses where the disease spread quickly. The resulting structure was "a homely affair" with "a rough unfinished frame" and a poor water supply. Renovations in 1892 and 1902 overhauled the plumbing and brought electric lights; that same year, the (not necessarily unbiased) Report of the Superintendent of Health noted that the smallpox hospital on Field's Point offered "very comfortable accommodations" for 12 to 14 patients. 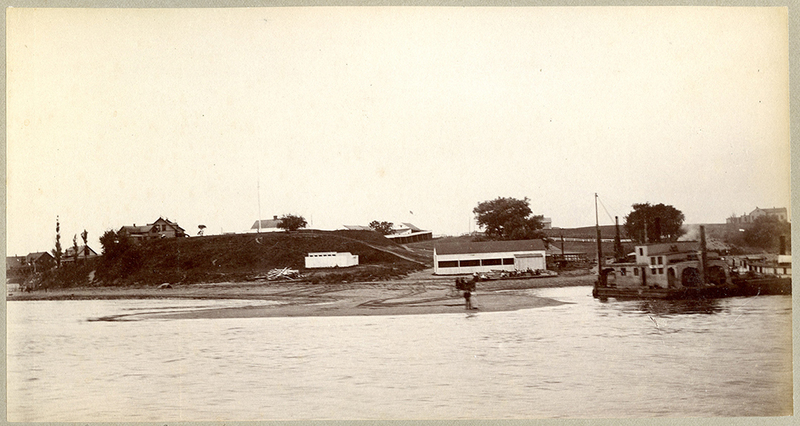 The proximity of recreational facilities to the hospital was a point of concern for the Superintendent of Health, who noted that "the small-pox hospital is situated... on a bluff about 600 feet from the clam-house, where the guests are entertained during the summer months. The wharf is perhaps 300 feet from the hospital and a much used path runs along the foot of the bank about 200 feet from the hospital. There are fifteen or twenty summer cottages from 500 to 1,000 feet from the hospital, and a much used road about 450 feet distant." His concerns were proven warranted when, in 1901, Asa Witter, a stable hand on Field's Point, contracted smallpox. Witter was immediately moved into quarantine, and the stable was sprayed down with disinfectants. It was later determined that, unable to work after breaking his arm, Witter had visited with hospital attendants to pass the time (believing himself immune, having had smallpox previously), and presumably contracted the disease from this close contact rather than through long-distance airborne contagion. The smallpox hospital at Field's Point remained in use until the Providence City Hospital (later Chapin Hospital) opened in 1910 on the current grounds of Providence College. The abandoned hospital was torn down following a 1918 resolution. Field's Point has a number of walking paths as part of the Urban Coastal Greenway. 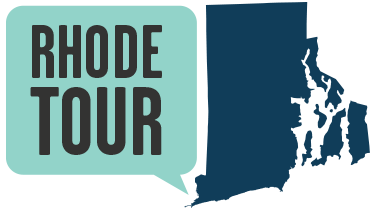 Trails and Walks in RI has a webpage with clear directions for how to find the paths. Angela DiVeglia, “Providence Smallpox Hospital,” Rhode Tour, accessed April 23, 2019, http://rhodetour.org/items/show/358. Nineteenth Annual Report of the Superintendent of Health, of the City of Providence, for the Year Ending December 31, 1901. Providence: The Providence Press, 1902. Twentieth Annual Report of the Superintendent of Health, of the City of Providence, for the Year Ending December 31, 1902. Providence: The Providence Press, 1903.